The smart business look is under threat, with ugly pink, green, rounded ‘lifestyle’ branding all over the place. Gadgets are for kids, it seems, which is why this serious-looking, serious-sounding effort from Sennheiser immediately impresses. Perhaps it’s the leather neckband and red stitching, or the dynamic drivers, but the HD1 – part of this noted German audio brand’s awesome Momentum line-up – look enticing. 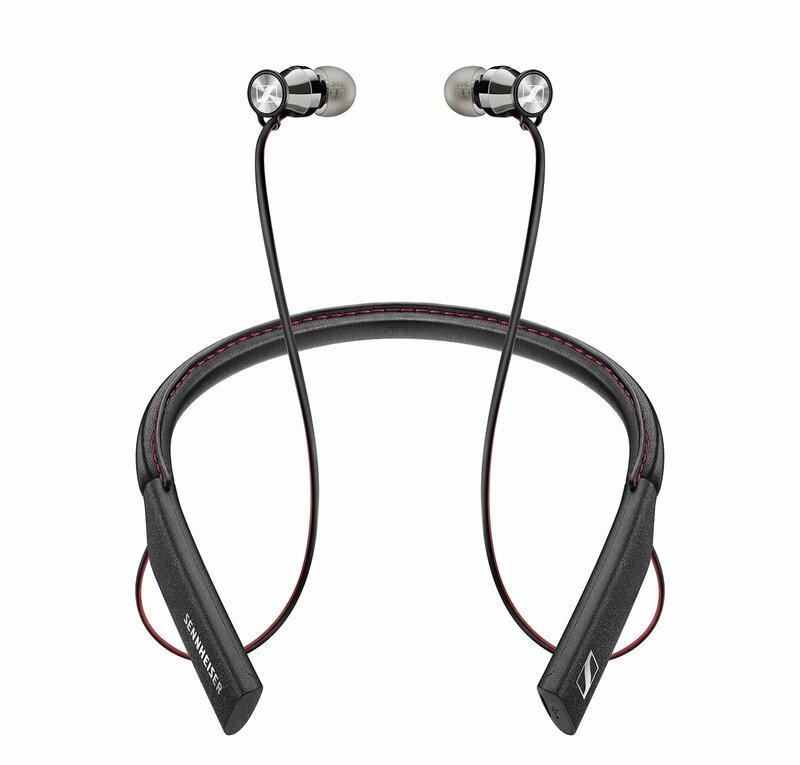 They feature Bluetooth 4.1, AAC codec support and Qualcomm apt-X as well as machined stainless steel in-ear sound tunnel, an in-line three-button remote, and a 10-hour battery life. That’s great news for long flights. Business users will love its ability to connect to two devices, and engage in three-way calling. So forget those ‘true wireless’ earbuds that (a) you will lose and (b) last about four hours and put your head between the HD1’s.